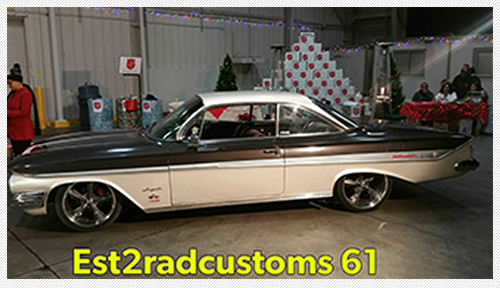 Testimonial: I purchased a used 1405 Edelbrock and had it professionally rebuilt and an electric choke kit added. I installed it on a built IH 392 v-8 in a '73 International Scout II. It idled fine, but did not have good throttle response. After a couple of calls to the tech line and a few recommended changes to jets, metering rods and springs, there was an incredible change in performance! I LOVE the "easy to work on" design of the carb... especially that I don't have to remove it to swap springs, rods and jets! 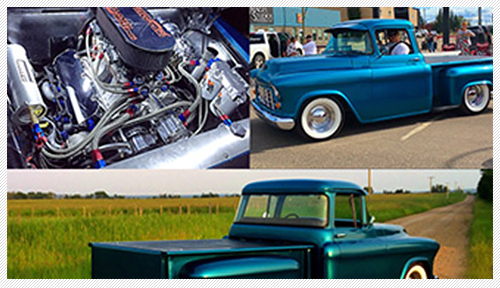 Testimonial: I’ve ran Edelbrock 1411’s on my last three big block motors. All 3 ranging from 300-500 hp with different mods, my Edelbrock carb and intake manifold have always been very easy to tune and run smooth yet let the big block eat when you hammer down. 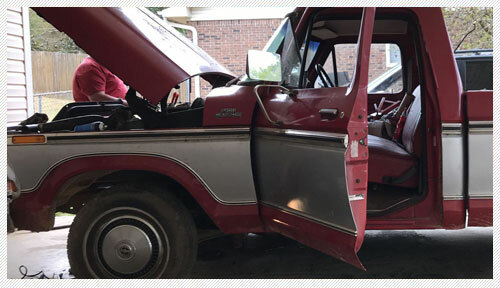 Testimonial: Had some calibration issues and called tech support and they were fantastic, they got me a new tune sent and it is running great now. Absolutely one of the best support centers I have ever dealt with in my 44 years in this industry! 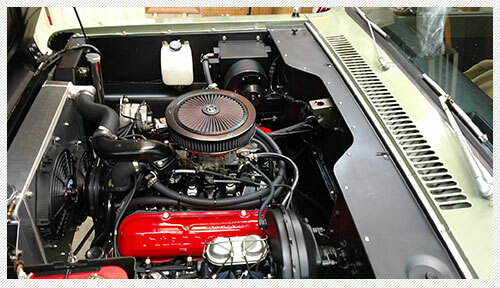 Testimonial: Installed my EFI system in April 2017, on my 5 Liter HO, from a 89 Mustang in my 1956 Ford F-100 pickup with AOD automatic. Engine has run smoother and more efficient since, wish I had done this 5 years earlier when I put truck on the road after building it. I live in a cooler damper climate here in Canada and the cold starts improved so much it’s incredible. I have had a few minor issues with the system but Edelbrock’s technical support team are second to none and helped me sort things out in short order. Excellent aftermarket EFI system. Visited Edelbrock in Torrance and they fine tuned system while on 6500 mile road trip of USA. 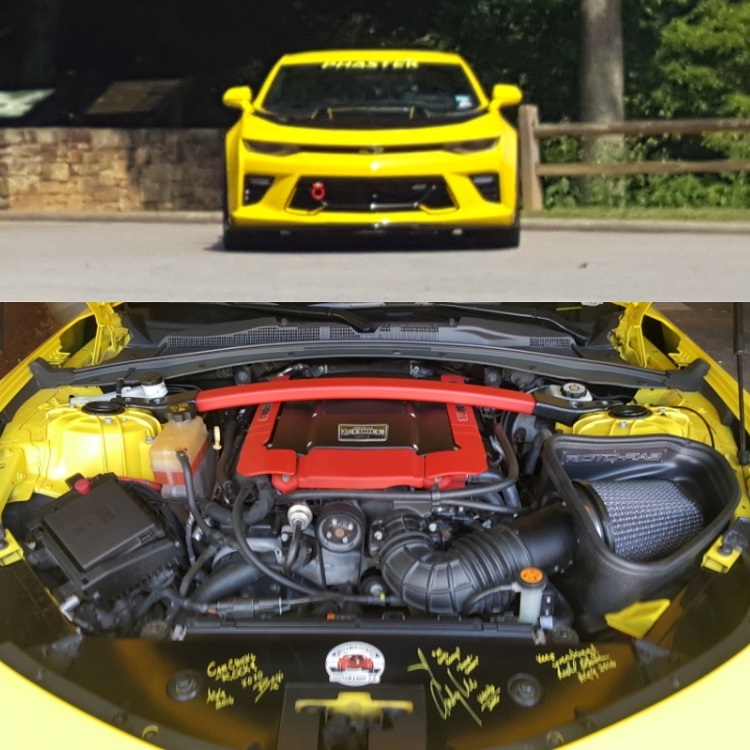 Testimonial: The E-force blower has been trouble free for 36k miles so far on my 2016 Camaro SS. It was featured on All Girls Garage under "Prototype Camaro". 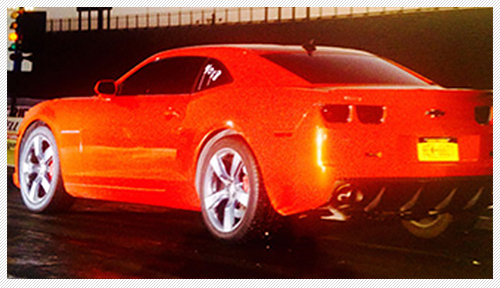 We can't wait for the 2650 to be available for my Husbands 2017 Zl1! 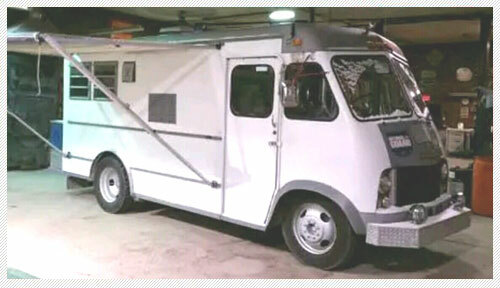 Testimonial: I’ve been building this 1999, 350cci It’s been going pretty smoothly and I’m only buying the best. Edelbrock Parts Installed: Edelbrock Performer Intake with a 600cfm Edelbrock carb. 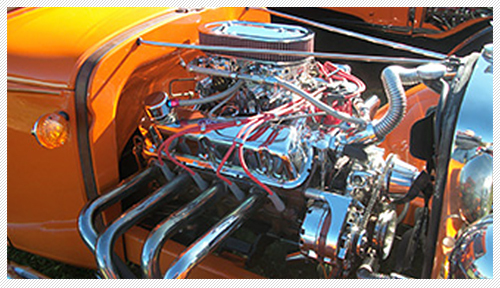 Testimonial: I have used Edelbrock since the 1960's on my cars and motorcycles, I had flatheads that I used with the aluminum Edelbrock heads. 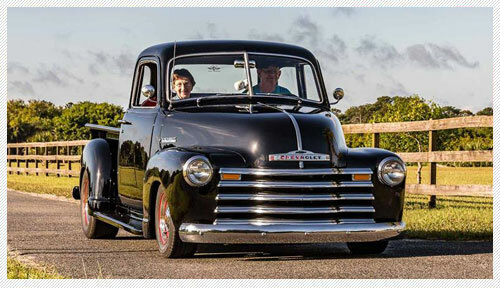 I now drive this 1950 Chevy 3100 with a 350 shoehorned in. I plan on a new AVS2 carb in a couple of weeks, one thing Edelbrock knows is carbs. 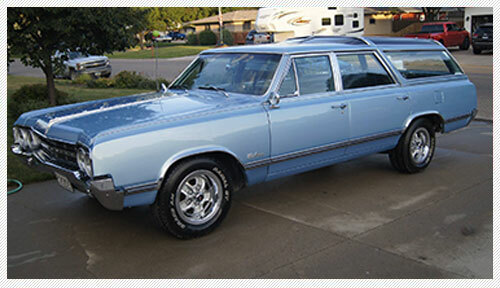 Testimonial: Edelbrock has always been the best in my eyes for Oldsmobile performance! Testimonial: I just got to say Chris and Tony in support rock. Patient and very helpful. Love this product, would absolutely install again on my next truck. Really gentlemen good job! Edelbrock Parts Installed: Pro Flo XT, Edelbrock Racing valve covers. 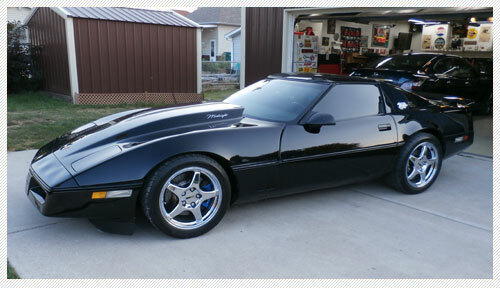 Testimonial: I was searching for a new induction system for the new crate engine that I had bought for my '85 Corvette. 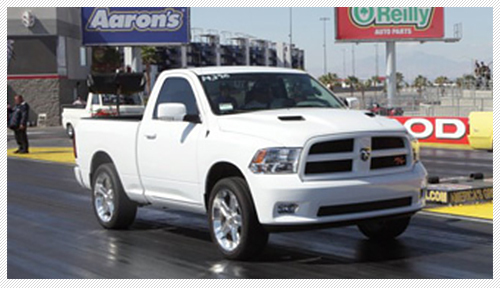 I read an article that was about a comparison of the Pro Flo against the Superram and the Pro Flo made more power. I liked it's looks the bottom is just like the old TR1Y tunnel ram manifold I used to run on my small block Vega! 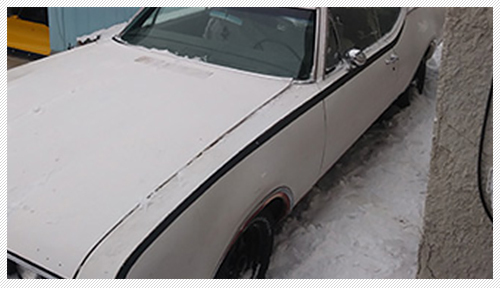 Testimonial: After installation I've notice a jump in performance and a smoother riding motor. 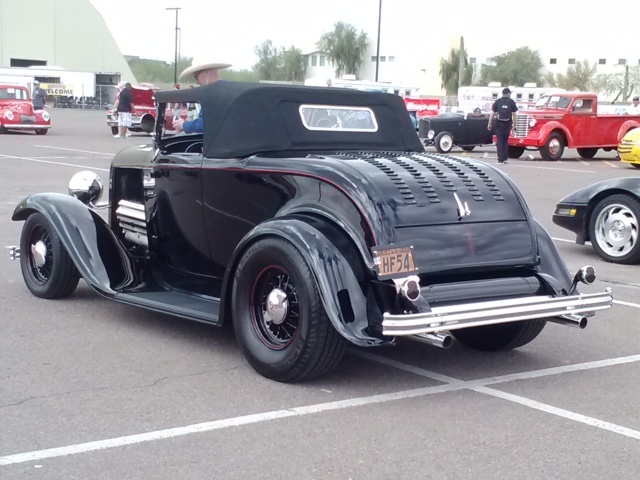 Gotta love Edelbrock on any classic! 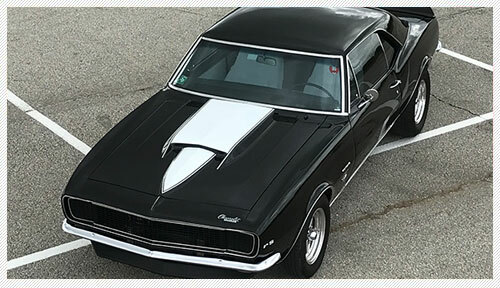 Testimonial: I have a new Smeding 383 Crate engine with the Edlebrock Air Gap manifold and a 750 Edlebrock carburetor, 408 HP, 466 Lbs of torque, Turbo 450 Transmission, 9 " Ford rear end, 292 posi gears, disc brakes 2 " dropped spindles, Possi 3 "dropped reversed eye rear springs, Leather interior, pin striped, Red & white, American Torque Thrust 15 " wheels. Definitely a driver to Dallas Texas, Salt Lake City Utah, Lincoln Nebraska, Del Mar Ca., Pleasenton Ca., Reno Nv. Have had a lot of fun driving all over everywhere, always creates a stir wherever we go. Edelbrock Parts Installed: 60995 heads, Performer RPM camshaft, timing chain, 750 electric choke carb, GM square bore intake. 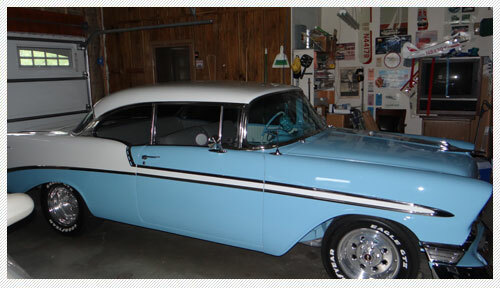 Testimonial: I have used Edelbrock parts for over 30 years. Never had a failure in any parts. Great American Company. 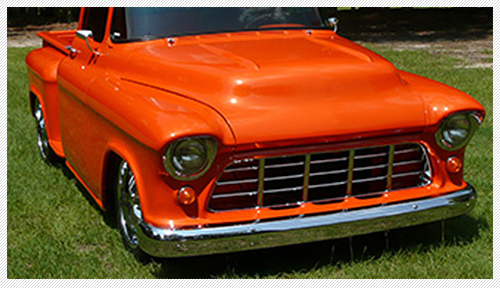 Testimonial: Great product I would suggest to anybody with older truck/car. Edelbrock Parts Installed: PRO-FLO 3, 3605 Fuel Sump System, 72cc Performer D-port heads, high-flow water pump, and timing cover. 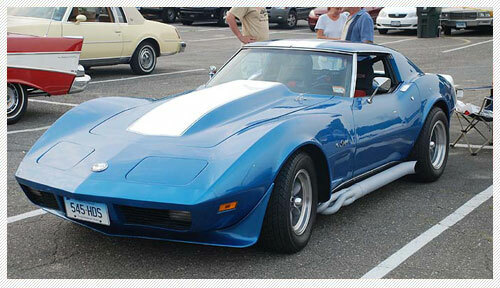 Testimonial: I decided to take a 1978 Pontiac Trans AM with the W72 400 CID and bring it forward in the engine evolution. 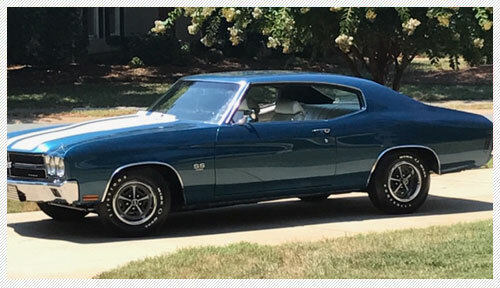 I did what Pontiac could of and should of done if they kept the 400 CID in production, and believe that this is a good shot at what it might of become. Edelbrock has allowed me and everyone else to make there car evolution come to fruition, and I thank Vic Edelbrock and his talented company of employees for this! 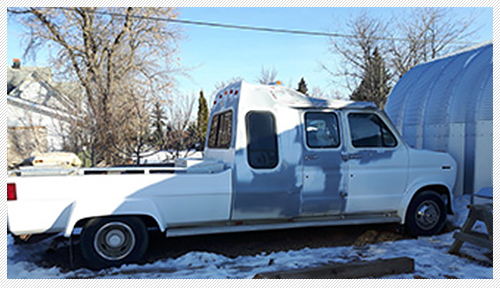 Testimonial: Sure beats the hell out of the Rochester Quadrajet. Response and efficiency. Edelbrock Parts Installed: Edelbrock 600cfm carb on a vintage Edelbrock D4B intake manifold. 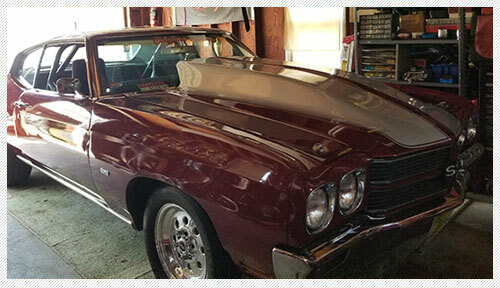 Testimonial: I've used lots of Edelbrock products over the years and won't use anything else! I'm running an Edelbrock 600 cfm carb and D4B intake on a 360 Small block Mopar in my 72 Dodge Tradesman. Never fails to wake up every spring and never falls out of adjustment. Best carb I've ever bought! Thanks Edelbrock. Testimonial: While at Del mar good guys, (at the hotel we were staying) I found a note in my car to see Smitty Smith. 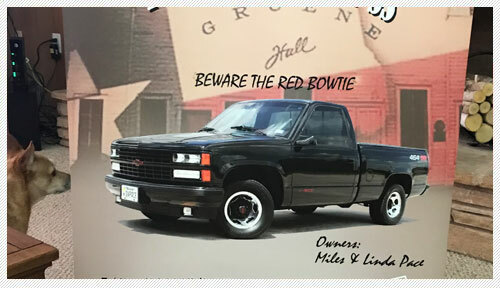 The next morning I had just arrived at the show and had not had a chance to find your display when Smitty found me. He pointed out that when he was walking the hotel lot where we were staying, he spotted my car. He noticed a vacuum plug had been left out where the original auto choke had been. He had me follow him to the Edelbrock booth and showed me the location of the missing plug. He then found a replacement plug and gave it to me. While this is a part that probably cost less than a dollar, Smitty had gone out of his way to not only spot the problem but to take the time to write the note and then find me at the show. Talk about fantastic service. Smitty converted me to a life long customer Thanks to Smitty Smith. Edelbrock Parts Installed: Manifold and cam. 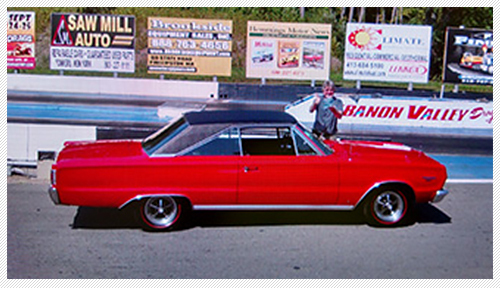 Testimonial: Pro parts at sportsman price. Edelbrock Parts Installed: Rpm heads, intake, carb,and water pump. 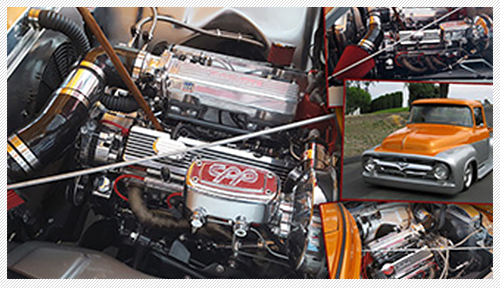 Testimonial: Great performer RPM top end heads. Edelbrock Parts Installed: 1405 600 CFM Edelbrock Carburetor with an EdelbrocK Performer Intake. 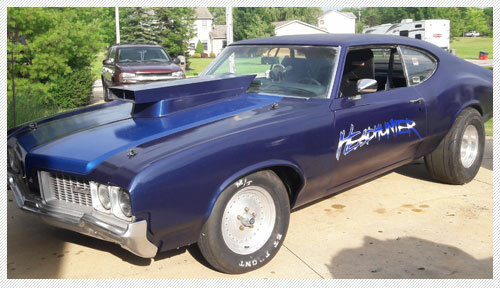 Testimonial: My name is John I'm in the process of building a 1979 Oldsmobile Cutlass Supreme I am using a 1405 600 CFM Edelbrock carburetor with high performance Edelbrock intake the motor runs excellent with this carburetor and intake. 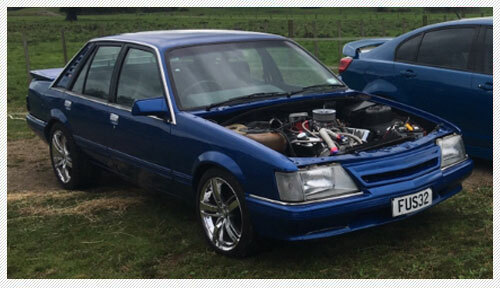 I love your product the car is not yet complete I will send a picture of the whole car when complete but for now I'll send the picture of the motor hope to see it posted some day on your site thanks sincerely John. Testimonial: Stoked on the quality parts. 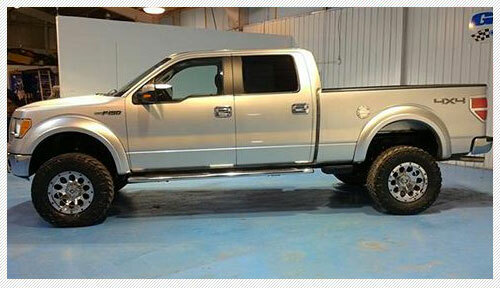 Testimonial: The E-Force added 210 horsepower (43%). The drive-ability is great! Testimonial: You gotta love this stuff! 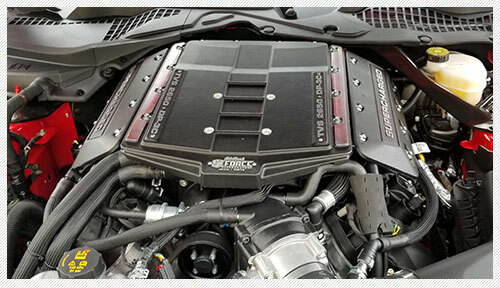 I installed the new Edelbrock intake and not only does it LOOK better you can really feel the difference in performance! 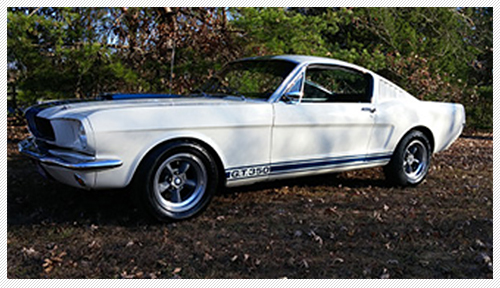 Next thing is saving my pennies for a new Edelbrock carburetor - can't wait! Oh yeah - almost forgot the new Edelbrock cast aluminum valve covers - seriously well built - fit PERFECT and look great - new carb will finish the trifecta for my old 351 Windsor! 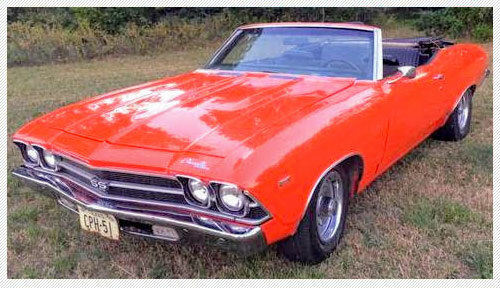 Testimonial: I have an all original numbers, matching 1970 Chevelle 396 CC. 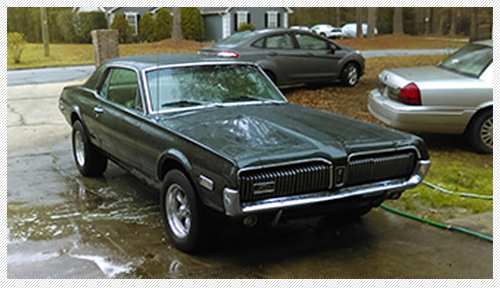 My dad and I restored it and now it has become our favorite Sunday driver. 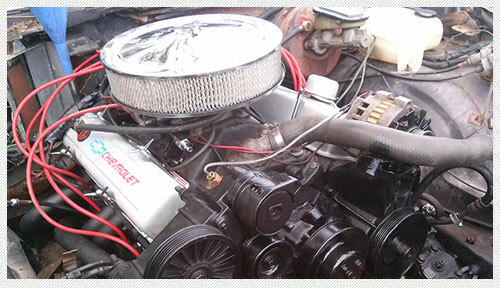 Our Edelbrock carburetor is the standard 4 barrel quadrajet that came on the car originally. Edelbrock Parts Installed: Performer RPM Power Package - Performer RPM aluminum heads, RPM Air-Gap intake manifold, hydraulic roller cam and lifters, timing chain and gears. 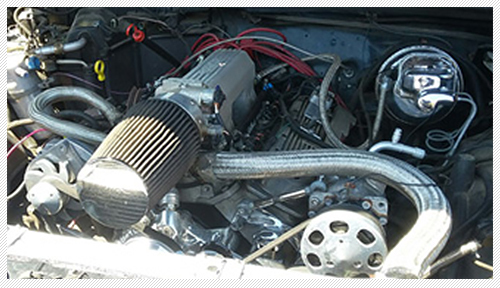 Testimonial: This is a beast of an engine. It'll pass anything except a gas station :-). With the fuel injection, it starts right up, has a nice raspy idle and great throttle response. 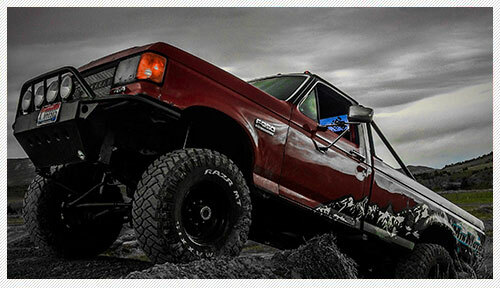 Testimonial: Can feel the difference in power and torque. 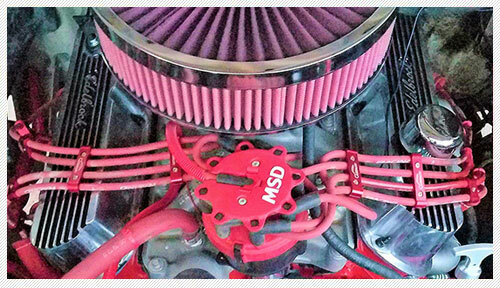 Testimonial: Installed the Edelbrock Supercharger on my 8000 mile, 2010 Mustang GT...4.6 3V. What a smooth, fast and exciting car to drive now. It’s quick and very responsive. The Edelbrock package is well designed and virtually “plug n play”. Bumped my RWHP from 270 to 452...oh mama!!! Edelbrock Parts Installed: Duel quads, Edelbrock manifold, Edelbrock carbs. 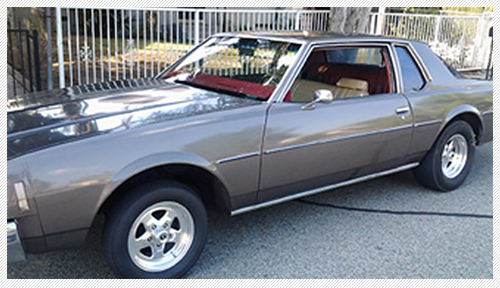 Testimonial: Love the products and history, what a great car family supporting all makes and models. 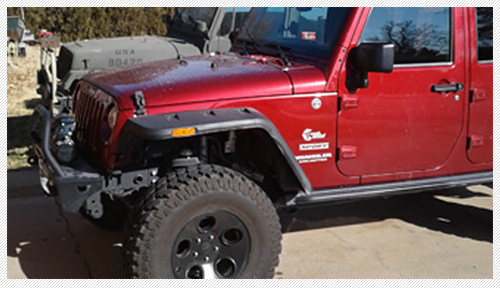 Testimonial: Installed on my 2013 Jeep JKU 3.6 liter. Outstanding performance and torque. Great add for on road and off road. 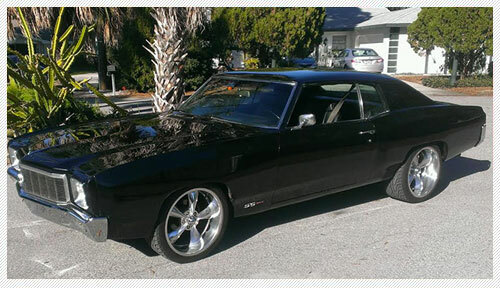 Testimonial: This my 68 Cutlass Supreme, it has a 425 Olds engine with an Edelbrock cam, intake and carb. 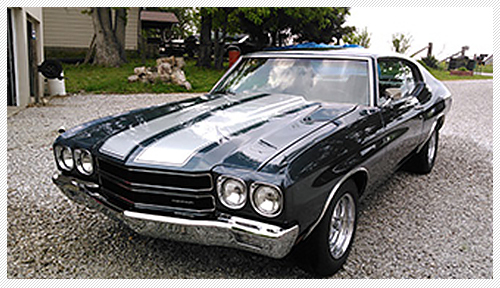 Testimonial: I have installed many Edelbrock Intakes (rpm performer) and carburetors. On multiple motor sizes. In my opinion they are the best with the best tech support. Edelbrock Parts Installed: Air gap manifold,Thunder series 650,Engine trim. 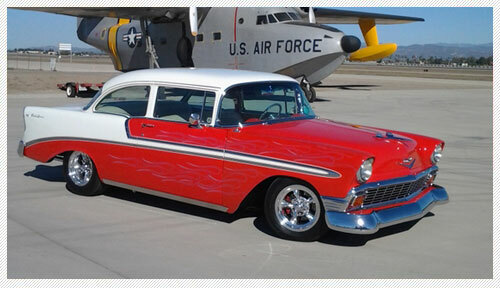 Testimonial: Most of my engine has been trimmed off with Edelbrock aftermarket parts from fuel pump to intake manifold. 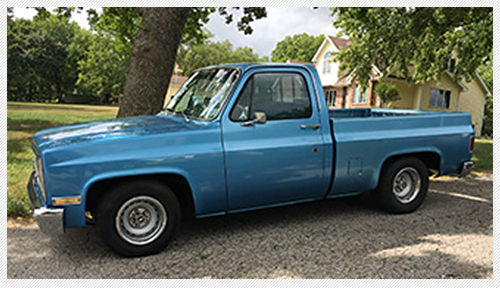 Testimonial: My 81 short box C10. 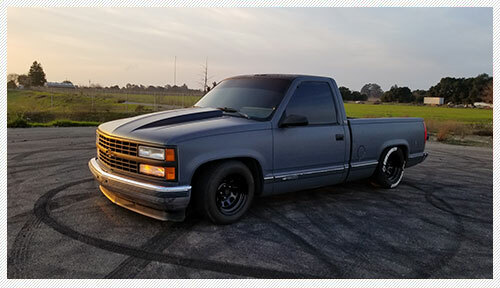 Built 406 with all forged internals, th350 transmission with reverse shift pattern and trans brake, 12 bolt rear end, and a nitrous shot capable for 190-400 HP. 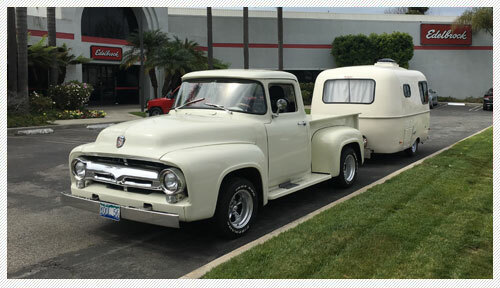 Testimonial: Father and Son 56 Chevy truck. This is a 489cu pump gas motor with 10.5cr. Making 786hp on Avery conservative Stuska Dyno. We wanted the real deal on the intake that's meant for street driving to match our real street pump gas project. We are using AFR oval port heads with the Edlebrock tunnel ram. As in the catalog the intake is rated for 3500-7500 rpm, and it does just that. With internal porting and a 1/2 plenum spacer the motor pulls to 7700rpm with a ton of tq through the entire rpm range. We are planning a few minor changes in the motor but will stick with the Edelbrock Street tunnel ram. On a Superflow we aiming for a min of 835hp. 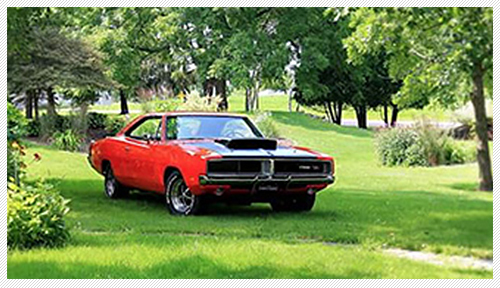 Testimonial: My dream when I was 17 was to have a 69 Charger and always wanted a six-pack. That dream came true in September 1997, my senior year. 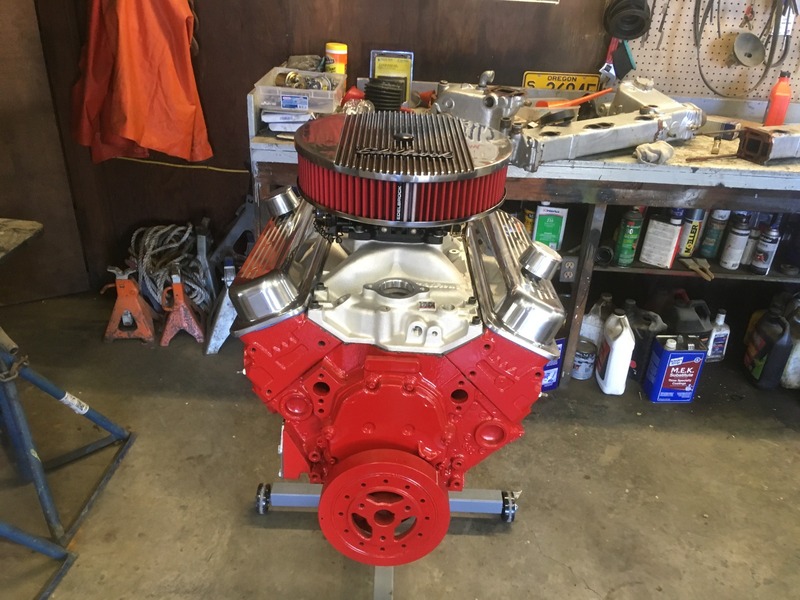 After completing the restoration in 2015, and struggling with that 6 pack for 20 years, I got my best advice to date and installed an Edelbrock pro flow 3 efi system. 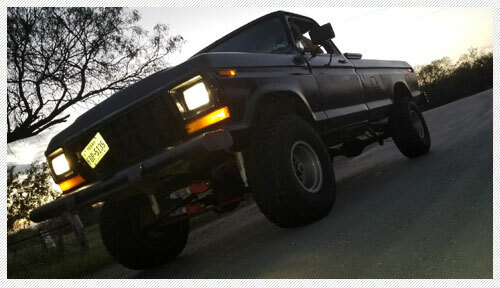 Better throttle response, more power, better drivability, and sans a 'temperament', I am one happy good ol boy! 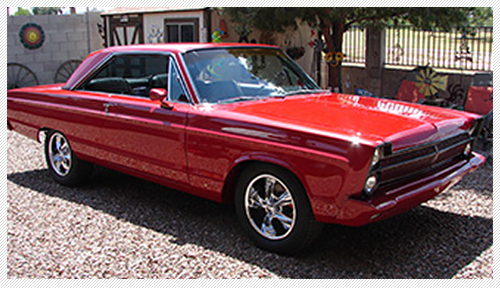 Testimonial: 1965 Plymouth Sport Fury RestMod. 440ci/727. The performance and dependability of Edelbrock can't be beat. My #1 choice for over 40 years. 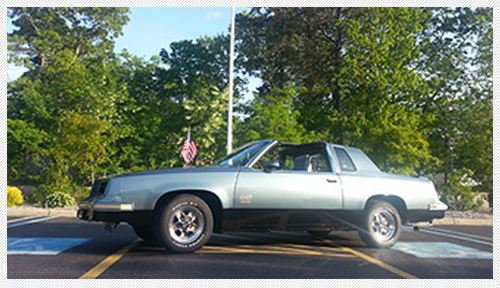 Testimonial: Bought my 454SS like this. Love it! Testimonial: Edelbrock is one of few quality minded companies left that still builds high quality performance products for AMC's! 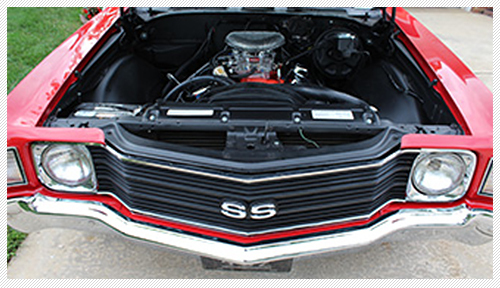 Testimonial: Needing a new carburetor, we chose the Edelbrock for ease of maintenance and adjustability. 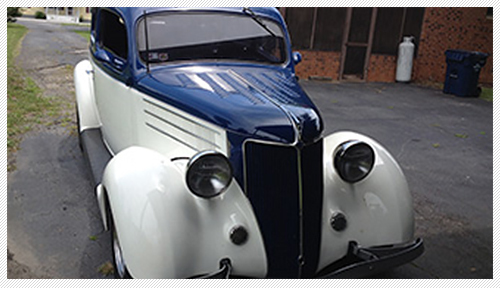 It turned out to be a smooth running and easy starting carburetor. Made my 307 seem like a different engine. 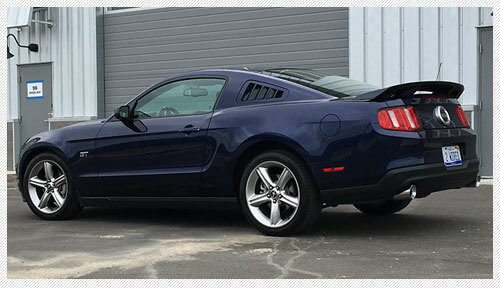 Testimonial: Last month (October) I purchased the Stage 2 Supercharger kit for my 2014 Mustang GT. I cant believe the horsepower difference. The best part about the purchase and installation was the customer service I received from the Edelbrock support team. The supercharger support staff especially a man named Tony, did a tremendous job. Any time I had a problem or issue, I called him, texted him pictures of what step I was on according to the manual, and he provided the best support I could ask for. He walked me through steps several times. Because of the experience I had with the supercharger support tech named Tony, I will forever be a loyal Edelbrock customer. I ordered the kit through Americanmuscle.com because they were cheaper than CJ Pony Parts and others. So happy with the purchase and performance difference in my car. Testimonial: Have always run carbs in the past with good results overall. 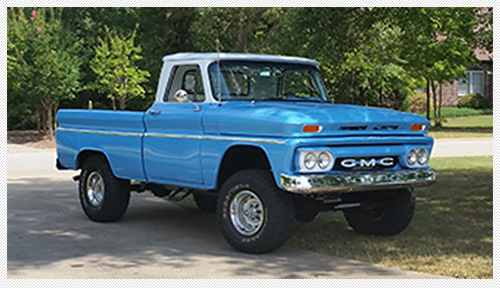 However, I wanted "that" new car EFI drivability for my classic truck. Cold start and overall drivability have improved dramatically. The idle characteristics are much smoother and throttle response is "crisp". Instructions are clear and EFI techs take the time to answer questions; excellent overall quality. 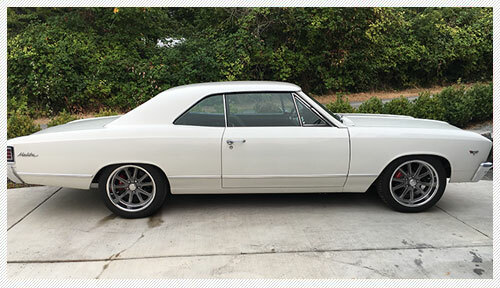 Testimonial: I have a 600 on my 61 Impala it has a 5.7 (350) out of a 92 Camaro it has the roller cam it has t50 5 speed with boss 338 18x8 front 20x10 rear the car with the carb gets between 19 to 20 miles to gallon freeway and if I keep my foot out of it 12 in town. The carb was easy to put on and adjust. My car runs great with it no problems thanks! 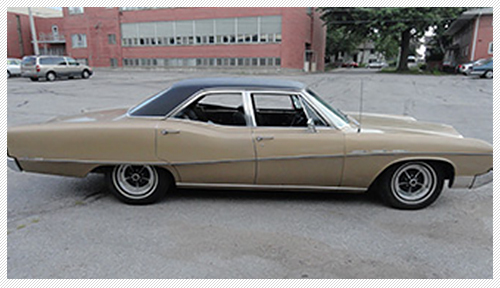 Testimonial: Many people told us that building a performance Oldsmobile 307 Engine could not be done. 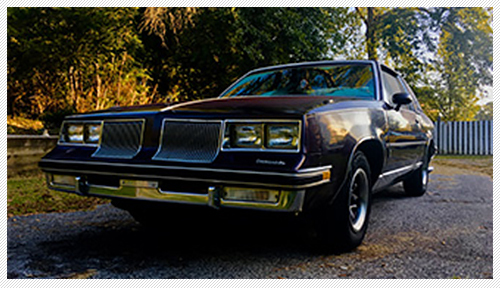 By adding an Edelbrock Performer Carb and intake, matched to a carefully rebuilt engine, my 1986 Oldsmobile 442 has more power than ever! It runs smooth, and feels better than a new car. 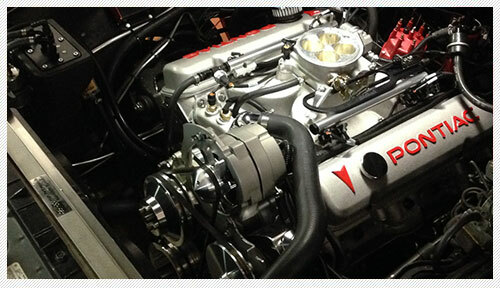 Our shop, On Point Automotive in Point Pleasant Beach NJ recommended we go with Edelbrock, and they built a winner! Edelbrock Parts Installed: Edelbrock modified 60759 heads with the RPM air gap. 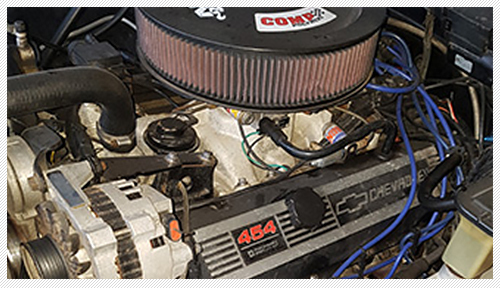 Testimonial: These heads were a good bang for the buck with room to grow vs the cam that I am running.Not a Edelbrock cam so I will not post the cam or the specs.7.42 in the 8th mile and these heads will flow a bit more with more cam. 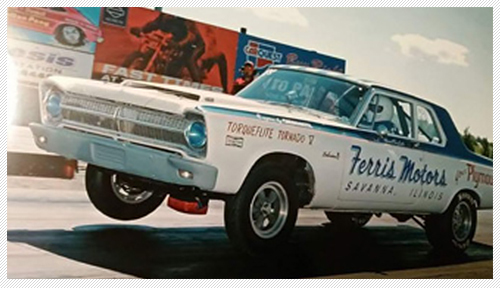 Testimonial: Running in Nostalgia Super Stock Inc. 426 wedge engine small ports 727 auto 4.11 Dana. 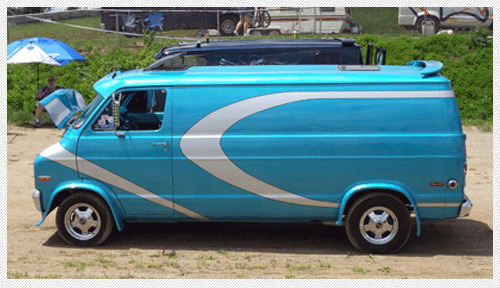 Testimonial: Quite the spirited daily driver. Drives just like stock except way more power everywhere. Smoke em if you got em! 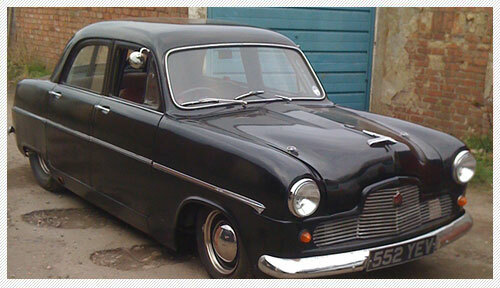 Testimonial: This has been a joy to work on for the last 5 years. The only thing left to do is install your total power package top end kit. Can't wait to get it in. Testimonial: Best company out there for dependability and durability! 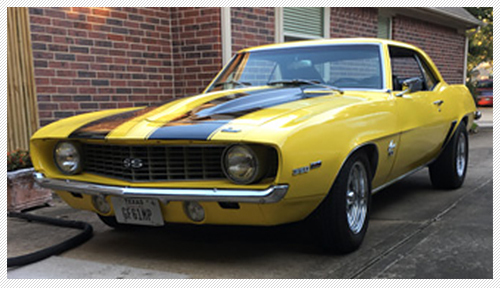 Testimonial: Looking for more HP, going to install manifold and headers next. 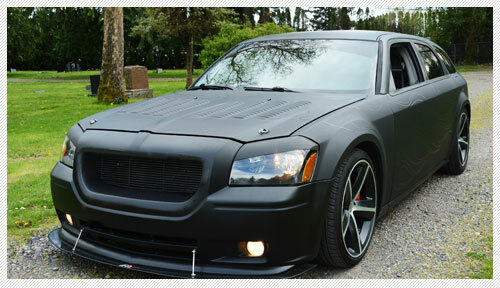 Or go for E-Force supercharger!!! 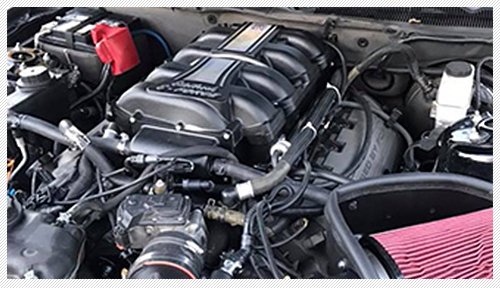 Testimonial: I decided to use Edelbrock because of the adjustability and the appearance in the equipment. They take pride in their product. 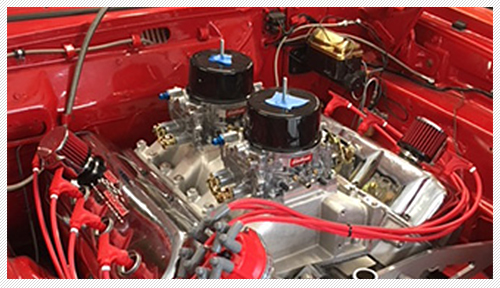 Testimonial: have used Edelbrock products for almost 30 yrs and have always found the fit, finish, and performance 2nd to none. My Performer 289 intake is no exception. It performs well and matches the needs of my street 289 in my '68 Cougar perfectly (Comp XE 256, Freebie Summit Carb, 1 5/8" full length headers). And Edelbrock's customer service is also top notch. 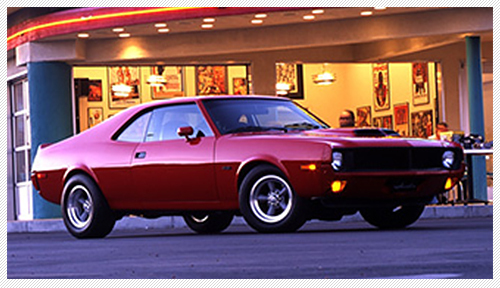 Testimonial: Been running Edelbrock Performance products since the early 1980's. 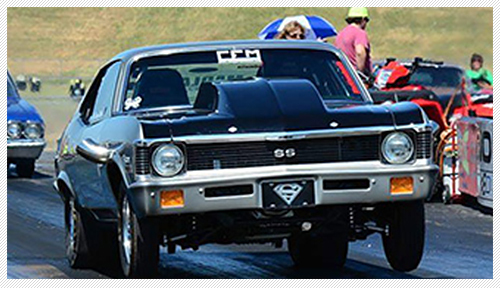 True 10.5 1972 SS Nova, 580 c.i. BBC. Testimonial: I've tried those other carbs but always came back. 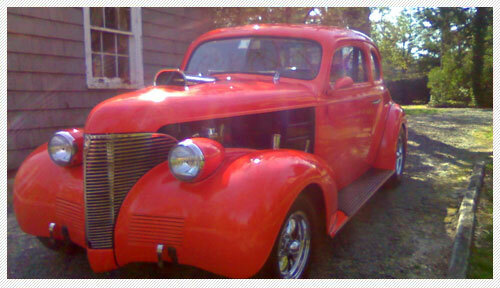 To me The Edelbrock is the carb for my setup 1936 ford 355 Chevy a rad Rattler roller 30 over 700 R backing it up. A great head turner.